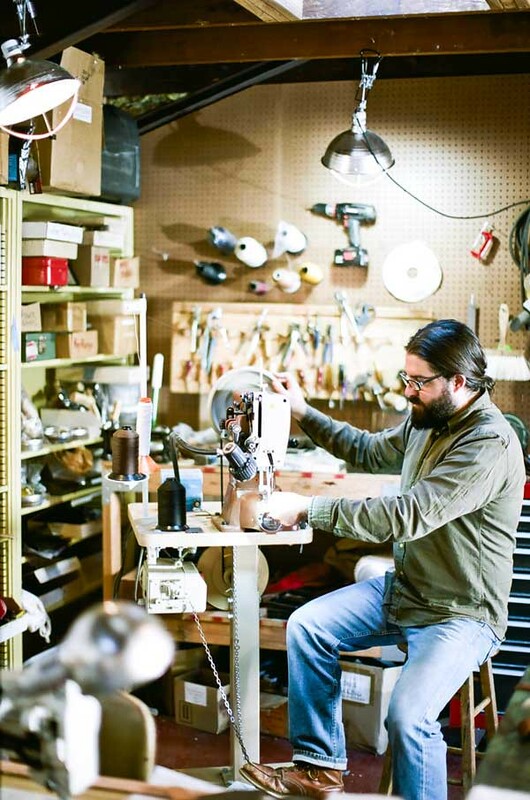 Interview with Steven Soria of Make Smith Leather Co. Turning leather into a plant hanger, the perfect clutch, or a properly sized belt isn’t something many of us would attempt on our own. 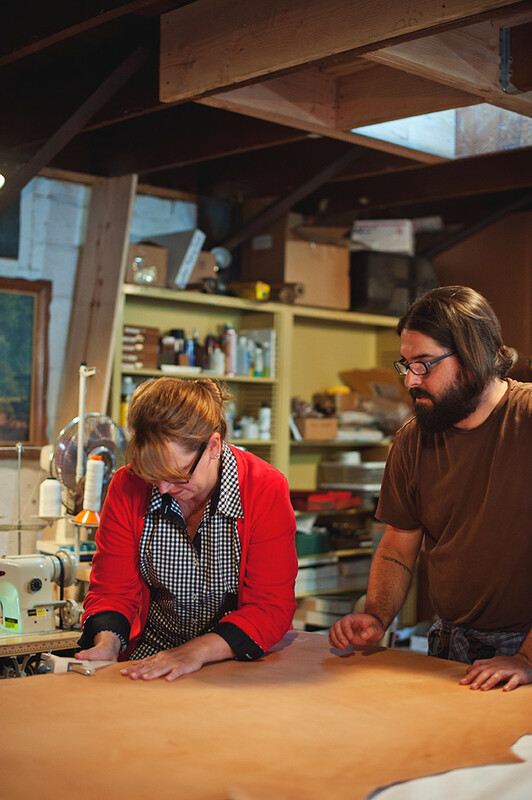 Leave it to Steven Soria of Make Smith Leather Co., who manages to do all of the above with ease and precision, and will be leading our Leather Workshop on January 26th. Sign up and you’ll have the chance to learn from the best, as well as create a leather belt worthy of bragging rights. In light of the upcoming event, we chatted with Steven to give you a glimpse into who he is and why we are such fans of his work! 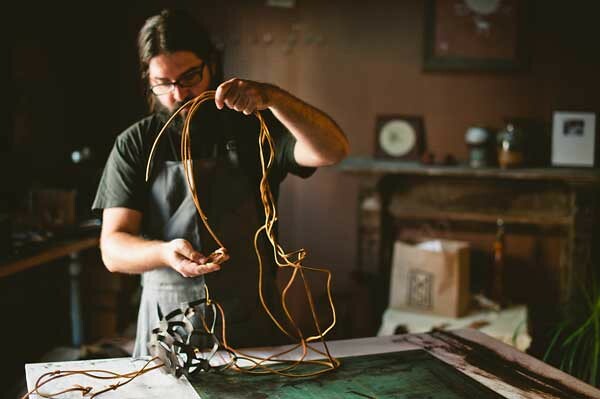 Leather Belt Making Workshop with Steven Soria of Make Smith Leather Co. Your education is in the fine arts. 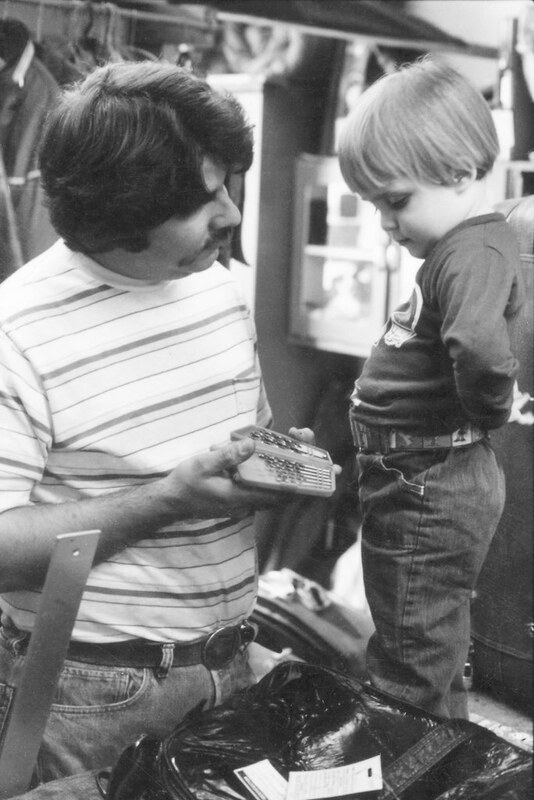 In what way has this shaped you as a leather craftsman? A fine artist’s education can be a highly influential experience and I think I’m still going through it– it continues to shape the ways in which I respond to design situations. A good art program not only teaches color theory and specific craft skills, but also exposes students to a diversity of ideas that challenge them with different perspectives on the human condition. That’s also the place from which good design needs to grow. Give us a glimpse into your day-to-day. 6am – Wake up, then coffee, walk to work, make a list of things to do, then don’t do them. Procrastinate, then do something creative. Then, address the to-do-list with a sense of impending deadline fear, and attack everything on the list until it is clear. 8pm – Walk home. Cook dinner. Go to bed. The End. You are teaching a workshop at Poketo on January 26th. What can participants hope to get out of your workshop? I’ll do a pretty quick survey of types of leather, then we’ll cut a belt from an actual cow-hide, size it to fit your waist, finish the edges, and attach hardware. So you will learn a basic working knowledge of leather, build a list of tools necessary for basic leather craft, and also just feel more comfortable working with leather as a medium. I find that most people are very intimidated by leather because they are afraid of ruining an expensive piece of material. My goal is to make sure you are clear of any obstacle like that, teach you to embrace your mistakes, and empower you to craft. 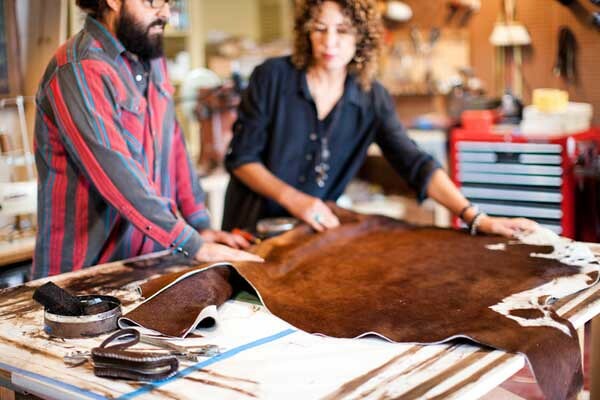 If you’re feeling inspired to create your own leather goods like we are, you can sign up to attend the workshop here. See you there!